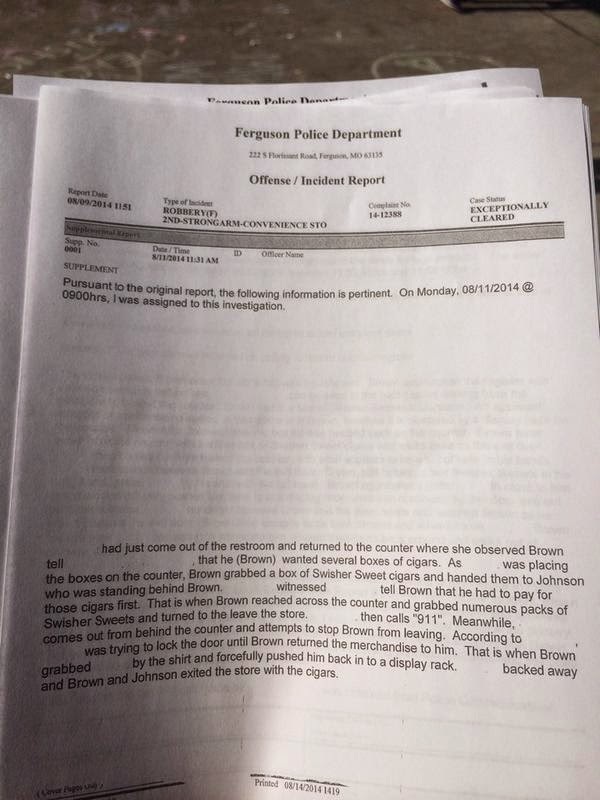 Ferguson, MO: Michael Brown Had Just Robbed a Convenience Store and Assaulted the Clerk, When He Tried to Murder the Policeman Who Stopped Him; See Pics from CCTV/ Police Report! A tip ‘o the hate to Ryan J. Reilly and Shimon Prokupecz. This is probably the QuickTrip store the rioters burned down. If so, it was out of "retaliation" against the clerk, for calling the police. Brown's accomplice was Dorian Johnson, the mope who was with him when he tried to kill the cop. Johnson first came up with the racial fairy tale, where the 6'4," 200+ lb. 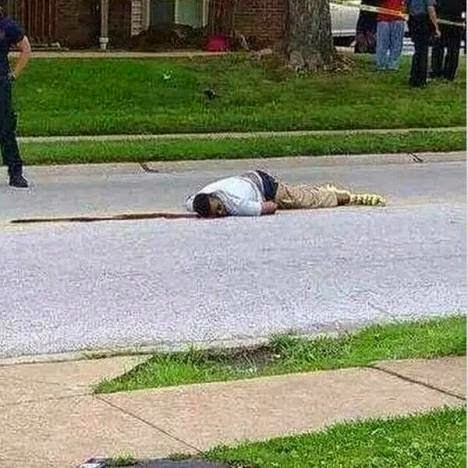 "child" was meekly surrendering to the policeman, who savagely shot him ten times. 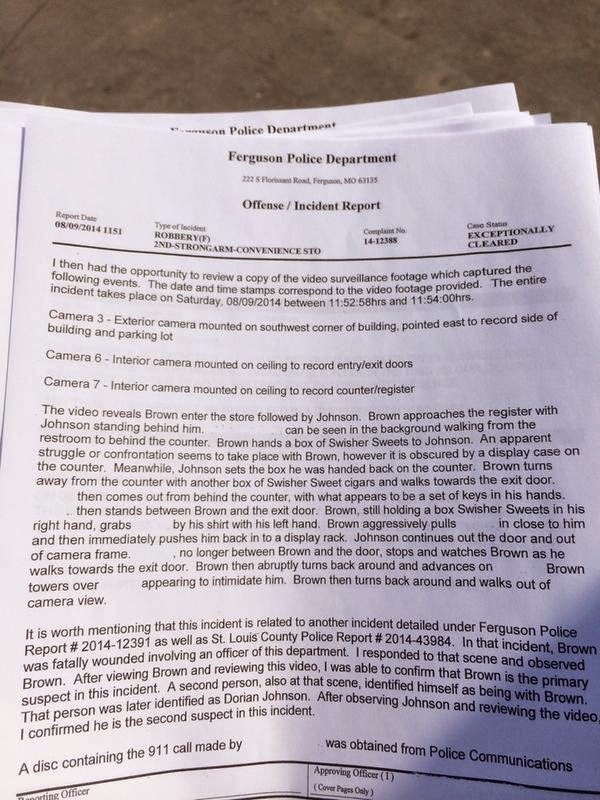 Mike Brown thought he could just walk into a non-black man's property, and rob and assault him at will. He behaved the same way with the cop who stopped him. Or tried to. The robbery led inexorably to the following photo, of the scholar Brown lying dead in the street, after trying to murder a policeman.